Has been merged into these two other Affairs! 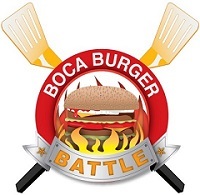 Details: The excitement is rising and the BBQ Grills are firing up for the epic 7th Annual Boca Burger Battle Competition on Saturday, July 14th, 2018 in Sanborn Square Park in downtown Boca Raton. The hand-picked team of 18 Chefs are incredibly adventurous at creating secret recipes as preparations for A Grilling Affair! returns for the seventh year. Join us for this awesome Community Event that helps benefit south Florida Non Profits. Price: Discount Tickets On Sale! 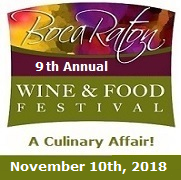 Details: Come and enjoy the outdoor Culinary Affair in South Florida during the 9th Annual Boca Raton Wine & Food Festival at the Sanborn Square Park in downtown Boca Raton. This annual celebration promises to be a party no one will ever forget with Saturday's Grand Tasting event. South Florida Chefs from the tri-county area converge upon the festival grounds for the incredible Grand Tasting... A Culinary Affair!. Grab your significant other, your best friend or the whole gang and spend the most spectacular Saturday a Culinary Enthusiast can imagine along the most famous beach front condo strips in Florida. Please your palate, step into your stride and mingle among the best chefs in South Florida at the 4rd Annual Galt Mile Wine & Food Festival on Saturday, March 7th, 2016 from 4 PM to 8 PM. With the cool Atlantic Ocean waters as the backdrop, this intimate festival will give you a unique up-close and personal experience of tasting dishes from South Florida�s Top Chefs as well learning from the masters themselves during their live cooking demonstrations. Stroll down the chef�s tables, feel the balmy breeze and savor the excitement as the sun sets and the evening ascends while listening to the Live Music in the background. Exotic wines and culinary feasts will embrace you in sensory delight. You will enjoy unlimited fine artisan wines, craft beers & spirits and distinctive food tastings, live cooking demonstrations, wine explanations and cultural revelations abound as you meet and mingle with some of the most brilliant sommeliers and extraordinarily talented chefs. Be sure to stop by the Retail Bazaar & Market Place where you can purchase a variety of unique products that are the perfect way to take this memorable evening home with you. The Galt Mile Wine & Food Festival brings you face-to-face with those who have made their lives -- their craft. This is the time for you to dine, drink fine wine and experience A Seaside Affair! � a perfect way to spend your Saturday! Jack Flash has been playing songs from every decade since the 1960's!